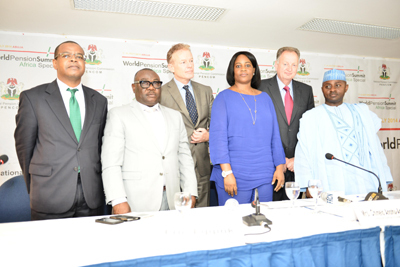 ABUJA, NIGERIA– Nigeria will host the first ever World Pension Summit to be held in Africa, in July this year. The World Pension Summit ‘Africa Special’ will bring together leading players from Africa’s pension industries, as well as key figures from across politics, business and finance to exchange expertise and increase international cooperation on the continent. The Abuja event will also mark the 10th anniversary of the enactment of the Pension Reform Act 2004, and the formation of the National Pension Commission (PenCom) as the Regulator for pension matters. Since its formation, PenCom has worked to create a more conducive regulatory framework for Nigeria’s pension sector, which – with in excess of $23 billion dollars of pension funds under management – will play a key role in Nigeria’s economic development. Many of Africa’s 55 countries will be represented at the Summit, including South Africa, Botswana, Ghana and Kenya. The Summit will focus on key lessons learned amongst African nations and will share global expertise on relevant topics and developments such as pensions administration and investment, risk management, regulatory essentials, technology, communication , and financial literacy. 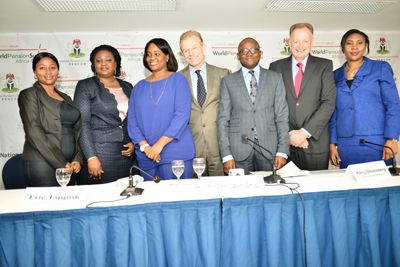 Eric Eggink, Founder & Chairman of the World Pension Summit, said: “Africa’s growth story, particularly Nigeria as its largest economy, has been well documented. But with such growth comes a responsibility, expectation and opportunity to leverage capital growth, using pension funds as an instrument for further economic and social development. The World Pension Summit ‘Africa Special’ will be held annually on the continent.